Anita Answers | Move from strife to LIFE! Right now today and every day from now on all through 2019—do what it takes for you to come clean so you can authentically live your dreams. Be honest about your dreams, tell the truth about what’s in your heart, expose how you are really doing (maybe for the first time ever), acknowledge your doubts and fears, be bold-share your challenges and success. The challenge for you in 2019 is essentially internal—know who you are inside and out. Invest in hearing your true inner thoughts. Evaluate your insecurities, claim your goals and desires, accept that you can and will change, and vividly see your achievements. First, have no fear. Hear and feel the authentic YOU. Quietly, without judgment, examine in increments your doubts and insecurities. Everyone has them; face whatever comes up with courage and confidence. Change any thought of “impossible” to I’M POSSIBLE, that’s really who you are. Start now by celebrating 2019. This is your year to make changes in your life and thus in the world. It may feel daunting at first to accept responsibility for self-change and then think about how this change , however minute, affects the world. Make life changes- feel the fear (doubt or insecurity) and dogmatically do it anyway. Next, accept that change is both a challenge and a bounty that you desire and deserve. Get ready now, work on yourself with a positive mindset, so that you are prepared to proudly claim your goals and desires. 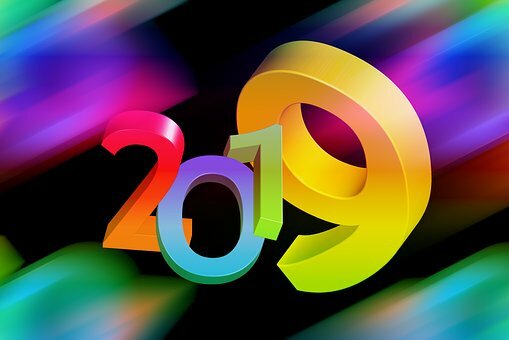 The year 2019 is 365 days long; keep who you are and what you purpose to do in your heart, mind and soul all day every day and make progress towards that by vamping up your selective activities, network, contacts, and incremental projects to reach your goal(s). Remember a goal without a definite completion date is only a longing. Write down each goal with a close out date. What one daily activity will you do to come clean in 2019? Write out your list of tasks (they may scare you) that stretch your exposure zone every day. Meditation is to the mind what aerobic exercise is to the body. Make each day in 2019 your day to come clean. Examine what scares you (doubts, fear, insecurity) and make it sacred.